All of the fun with none of the calories! Sew someone their own customized giant cupcake pal! Great birthday gift for kids or kids room decor. Choose from 6 face templates. Your pattern includes a fun bedtime story for kids called Kitty's Magic Cupcake. Kitty has a cupcake that makes wishes come true. Yes, that's true! Read the story to your little ones and then make them their own magic cupcake. 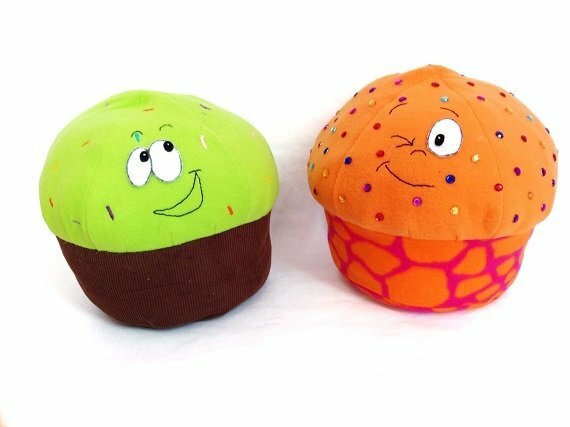 - 1 PDF sewing pattern with instructions and pattern pieces to sew a giant 12" cupcake pal.